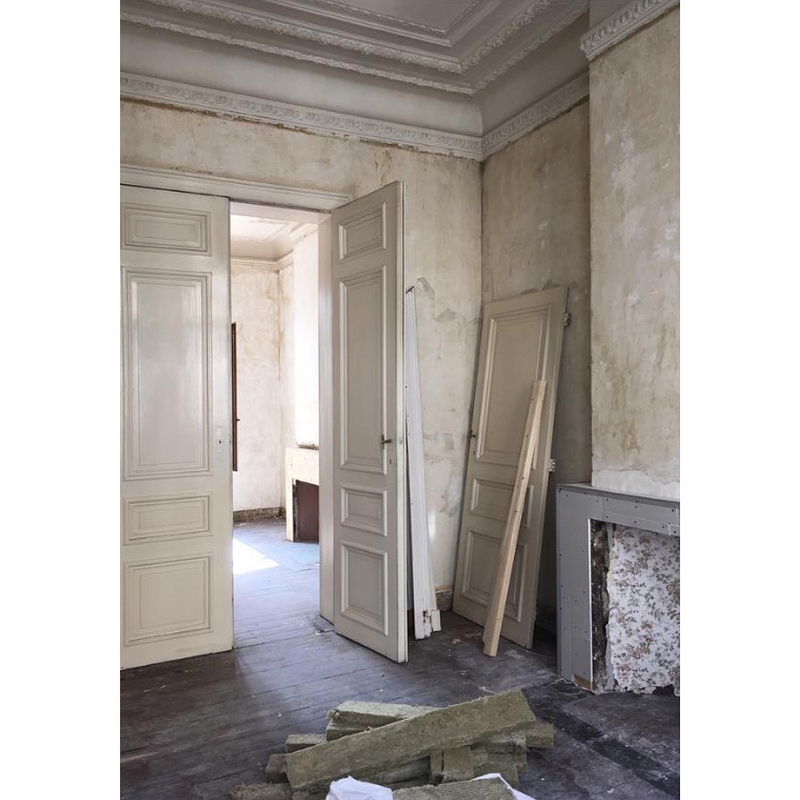 Work has commenced in the refurbishment of an existing townhouse, located in the central Brussels district of St-Gilles. 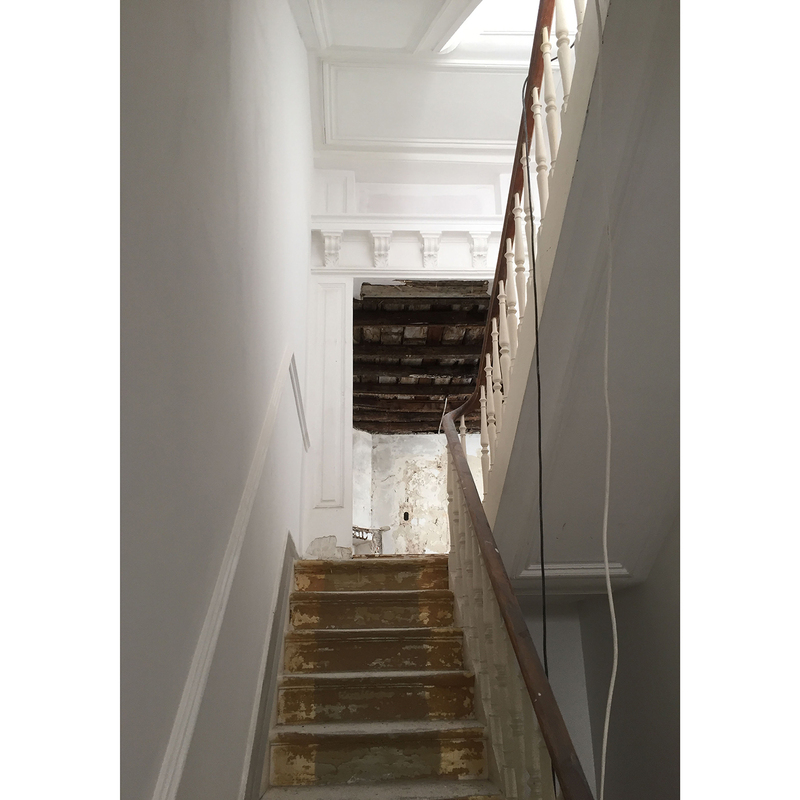 The existing 5 storey family home will be converted into a two apartments, and adjoining communal spaces, and refurbished throughout. 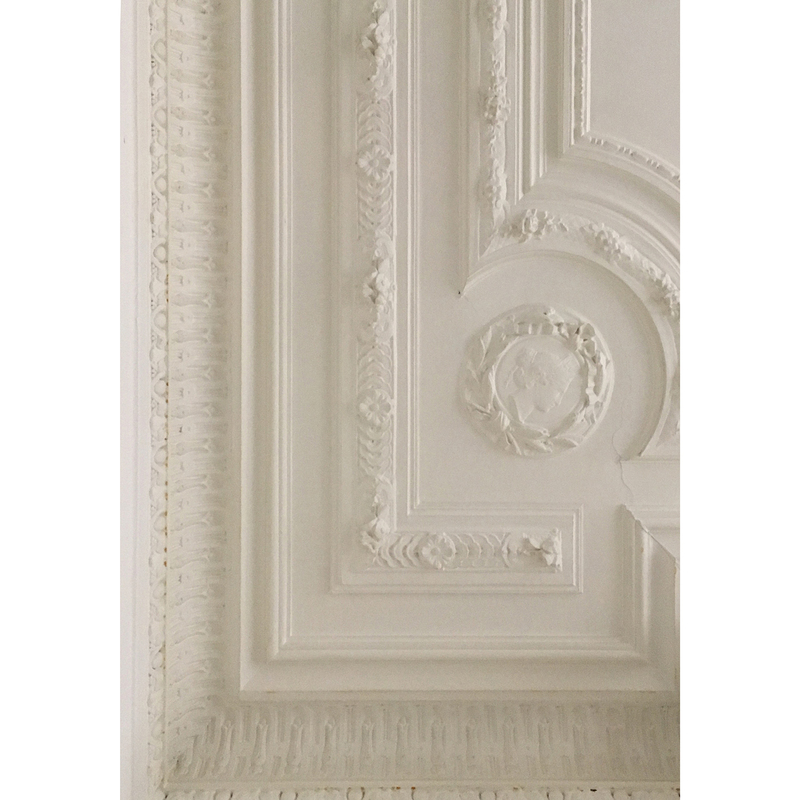 The building is a typical of it’s type and location, however less common is the fact that almost all original features remain in their originally intended state. Also visible are a number of more recent additions that have altered the buildings original plan form, and hidden a variety of decorative features, as well as an extension to the rear of the building that is of poor quality and does little to acknowledge the spatial and decorative qualities of the original house. The proposal therfore seeks to remove, wherever possible, more recent additions, replacing them with more considered alternatives that help restore the buildings original volumes and character. Construction commenced in August 2017 and is due for completion in Autumn 2018.